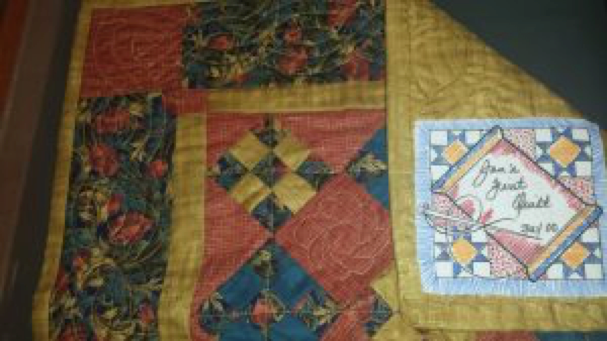 If you have been keeping up with my blogs (at www.janiceedwards.com as well as FaceBook), you know that one of my April entries, “The Quilting Bee”, described my interest in quilting, which I took up again in late 2016 after over 10 years of “abstinence”. 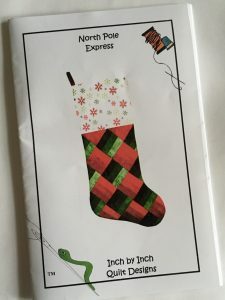 I discovered the lovely small quilting shop in Manchester, Patches Quilt Loft , and have spent many weekend afternoons in its cozy atmosphere, where I have enjoyed the company of fellow quilters, all working on beautiful creative projects. 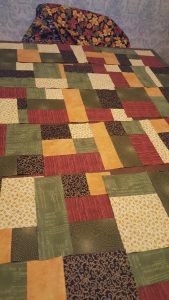 I am also grateful that the owner, Diane, and Lynette (Diane’s friend) have been on hand to guide this rusty quilting enthusiast (that would be me). 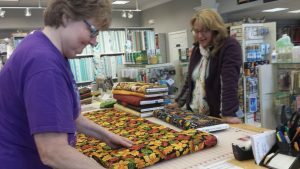 My dear friend (and one of my talented soprano voice students) Janet Wittenberg got the “fabric project” urge a few weeks ago and asked if we could plan a day up in the Lakes Region to have lunch and then visit Keepsake Quilting, one of the largest and best known quilt shops in the country. But back to the present. 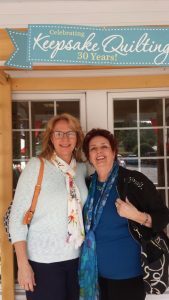 Janet and I drove up 93 to Meredith and stopped in to several restaurants before we decided on The Common Man’s Lakehouse Restaurant right on Lake Winnipesaukee. It is hard to describe the beauty of the warm, early fall day and the gorgeous lake itself. You can see photos of the Lakehouse here. After a yummy lunch (turkey BLT for me, quiche and salad for Janet), we headed over to Keepsake which is a few miles away in Center Harbor. 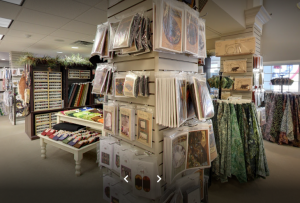 Below you will see some photos of the shop’s massive array of high quality cotton fabrics, notions, patterns, and books about quilting. Conveniently, the choices are arranged by color as well as “theme”. For instance, at the entrance, there was a small display of fall/Halloween fabrics and projects that can be made from these decorative patterns (I wish I had taken a photo!) There was also a table filled with festive Christmas-y fabrics. 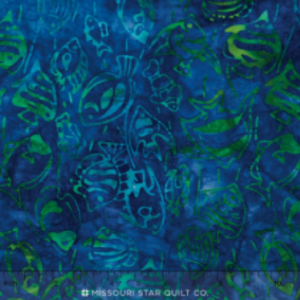 …and is very popular among quilters because of the “watery” effect. Janet and I spent a good 3+ hours wandering around the shop, choosing a pattern for our respective projects, and then painstakingly deciding on as many colors as the pattern requires. 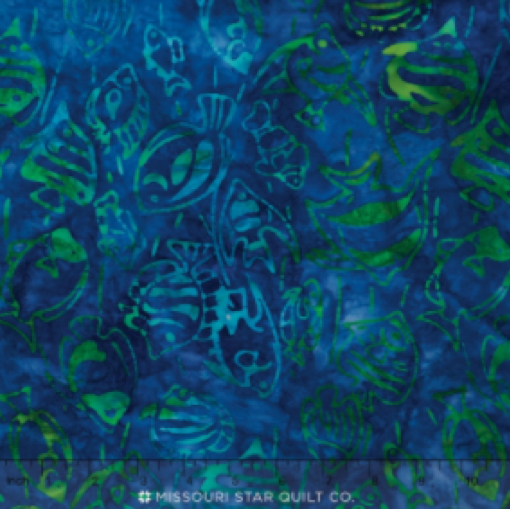 There were several ladies minding the shop who were very helpful with this particular aspect of quilting…but, that said…choosing your fabrics and colors is MORE than half the fun! It’s sometimes a struggle to overcome “fabric overload”, what with the thousands and thousands of bolts of beautiful patterns and solids. For about an hour, I was not at all inspired (mostly tired! ), but once Janet got going, I had to keep up! I am so impressed with Janet’s ambition and ability…she is having great fun and I hope to see the finished product before she ships it off to her sister-in-law. All in all, this was a wonderful day of friendship and “fabric fun”. I hope to start my project soon!